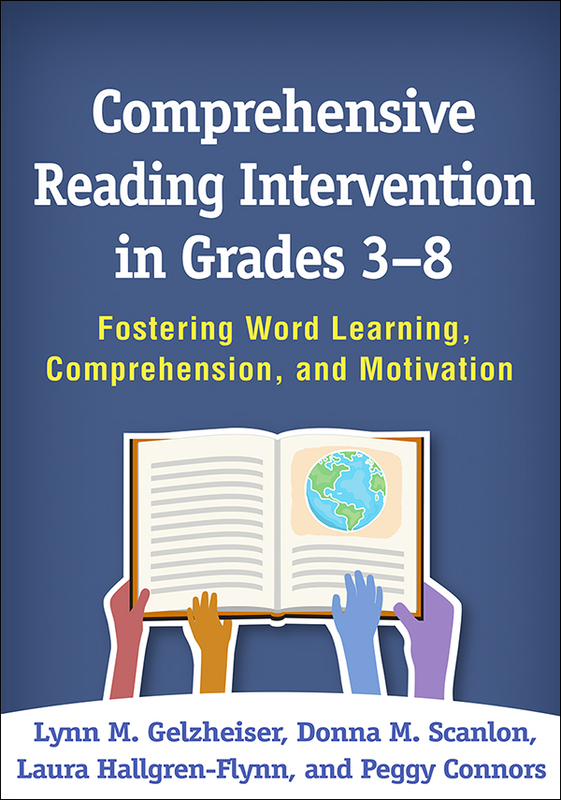 This book provides innovative tools and strategies to support reading intervention for students in grades 3–8 who do not yet read with grade-level accuracy. Uniquely comprehensive, the Interactive Strategies Approach—Extended (ISA-X) has been shown to enhance intermediate and middle grade students' reading accuracy and comprehension as well as content vocabulary knowledge. Preservice and inservice teachers learn how to conduct assessments that help to identify instructional goals; monitor progress toward these goals; promote students' strategic thinking and motivation; and implement small-group instruction using thematic text sets on science and social studies topics. Numerous lesson examples and a thematic text set are included. Purchasers get access to a companion website where they can download and print reproducible materials from the book, as well as additional Web-only lesson templates and assessments, in a convenient 8½" x 11" size. See also Early Intervention for Reading Difficulties, Second Edition: The Interactive Strategies Approach, by Donna M. Scanlon, Kimberly L. Anderson, and Joan M. Sweeney, which focuses on supporting the literacy growth of beginning and struggling readers in grades K–2.